The designer taught himself everything by trial and error in the mid-1900s. Innovative in every way and featuring tandem wings. This was the designer’s first truly flyable airplane! Destroyed on its longest flight (the pilot survived but was injured by glass from his broken goggles). 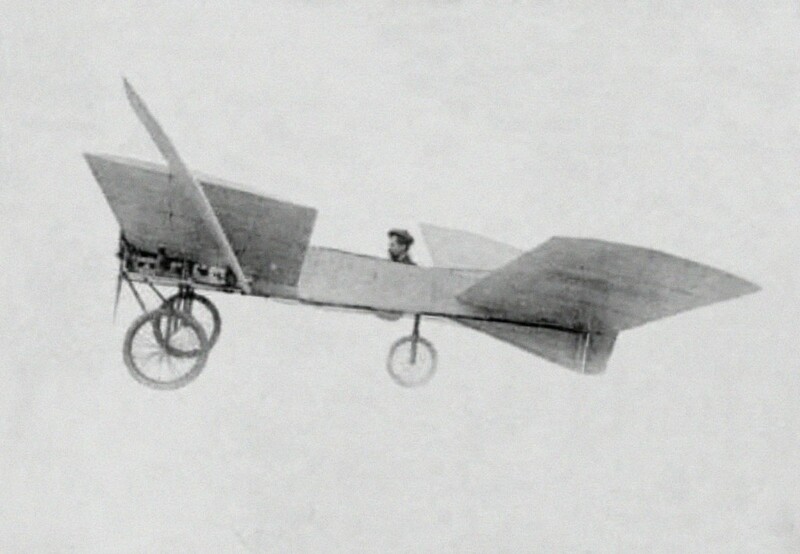 One of Louis Bleriot’s early efforts – Bleriot VI. Correct! Blériot’s designs were always stunningly beautiful, just as with this example. Looks like Louis Bleriot’s model VI to me…first flight in July 1917.